Graystone Hub is an exciting new business park within the flourishing Epping commercial and development precinct. Located just off Cooper Street, Graystone Hub is right on the doorstep of the Hume Freeway diamond interchange providing exceptional access to the Metropolitan Ring Road, connecting right through to all major arterial. 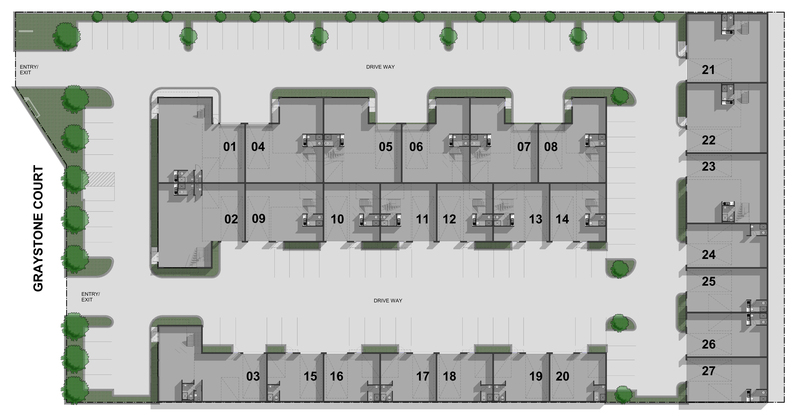 The development comprises 27 high quality architecturally designed office/warehouses suitable for small to medium businesses and savvy property investors. Together with an array of features including but not limited to container height roller door, dedicated office mezzanine space, contemporary kitchenettes, security alarm system and an energy efficient design, the business park offers a variety of sizes to suit all needs. 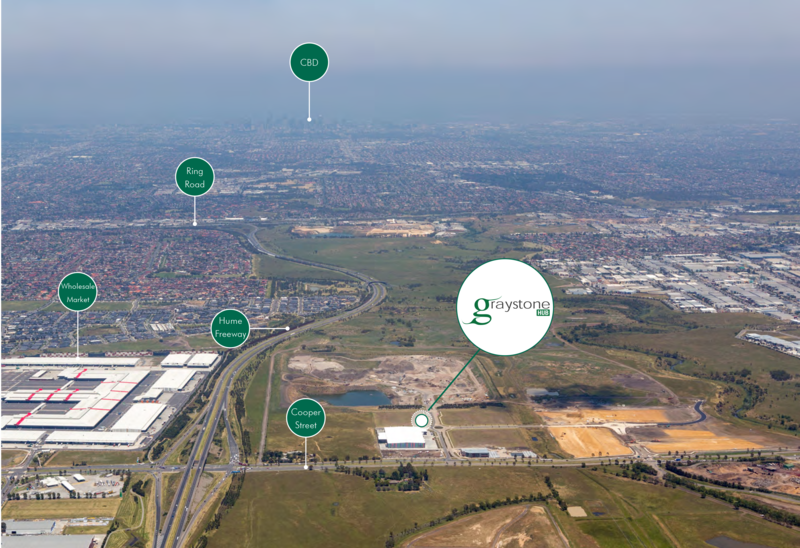 Graystone Hub is situated within Melbourne’s rapidly growing northern industrial region in the highly sought after Cooper Street precinct, on the cusp of the Hume Freeway interchange. 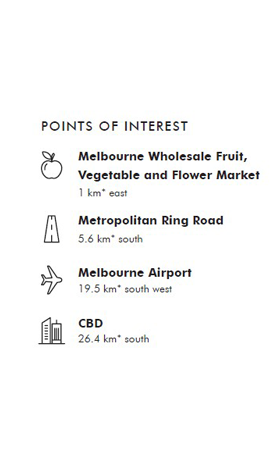 Graystone Hub’s proximity to the Hume Freeway, and subsequent connection to the Metropolitan Ring Road, provides occupiers with fantastic access to Melbourne’s international airport, port and central business district. Epping is located within the City of Whittlesea, one of Melbourne’s major growth areas, with significant current and future growth expected. Graystone Hub has been designed by esteemed KLM Spatial Architects together with Ozcan Group. 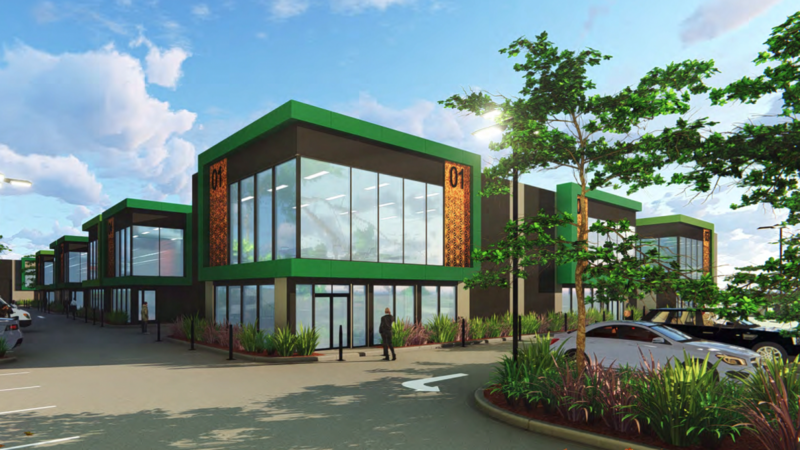 Graystone Hub will possess excellent curb appeal and is located within the exciting new business park within the flourishing Epping commercial and development precinct. All warehouses are constructed with reinforced concrete panel wall and floors with painted plasterboard separating the warehouse from the office areas. Premium finishes throughout, including commercial grade carpet, porcelain tiles, designer laminate cabinets and tapware will truly set Graystone Hub to be a whole new level of quality and design in Commercial properties.